Final Audio launches E3000 and E2000 in-ear headphones | What Hi-Fi? 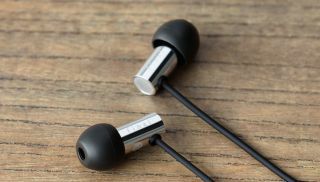 The two in-ear pairs have 6.4mm diameter dynamic drivers, and the E3000C and E2000C varieties have control modules on the cables for playback. Final Audio has announced two new pairs of in-ear headphones, the E2000 and the E3000 (above). The company has swapped its balanced armature drivers for dynamic drivers in both models, with the aim of achieving a flat and natural sound. The earpieces on the E3000s are made from stainless steel with a mirror finish, which Final claims minimises unwanted vibrations from the driver that result in distorted sound. The E2000s are more afforable, with an aluminium housing and meshed aperture on the back to extend the reproduction of low frequencies while also reducing sound leakage. Both headphones have 6.4mm diameter dynamic drivers, and have alternate 'C' versions which include a control unit on the cables for playback control. The Final Audio E2000 and E3000 models are available now, priced £40 and £50 respectively. Watch the What Hi-Fi? Awards live this Wednesday!